Need help resolving issues with your supplier or broker? Direct Power has been in operation for 15+ years, and our client facing team has around 100 years of combined experience as liaison between end-consumer and supplier. If you can think of an electricity or gas related problem, chances are that we have helped resolve a similar problem before it escalated to the level of a complaint. We are THE experts when it comes to energy complaint assistance. • Are frustrated with your Supplier or TPI’s handling of an ongoing complaint. • Need advice on how to resolve a problem before it escalates to complaint status. • Need a neutral opinion on your problem. We will discuss your case, review the status quo, and help determine a reasonable plan of attack. We can provide complaint letter templates and put you in touch with the relevant teams at your supplier/OFGEM/Citizens advice. We can even raise your case for input by the Utilities Intermediaries Association. 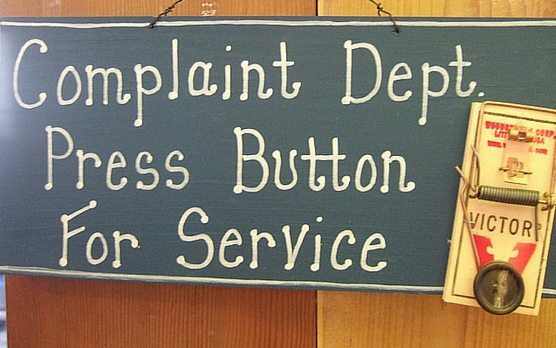 At Direct Power we will help you to work smarter, not harder when it comes to complaint resolution. Don’t spend time re-inventing the wheel, call us for input because chances are we have years of experience resolving the issue you are faced with. The first step is to get in touch and provide an overview of the complaint and contract status-quo. • We will work with you to gather the necessary evidence to support your claim. • We will help you submit the complaint to the supplier or OFGEM. • We will also tell you if your complaint isn’t reasonable, allowing you to stop festering and refocus your energies. Time is money, and stress damages health and the wealth of your business, don’t allow complaints to get out of hand when we can assist. Examples of recent complaints we have assisted with. • Clients being miss-sold Pass Through Contracts believing them to be Fixed. • Clients being double billed for Data Collector/Data Aggregator/Meter Operator Charges. • Clients having inappropriate capacity levels. • Clients requiring back dated VAT or CCL relief. If you are in need of energy complaint assistance with a supplier or other TPI please get in touch. We will work with you to understand the nature of your complaint, and provide advice on how to progress towards a resolution.